Thomas B. FitzGerald started Arlington Iron Works, Inc. in 1948, and as the company grew, they acquired cranes to “hang iron”. When local construction companies asked to rent those cranes, Thomas and his three sons, Barnes, Donald and Jimmy saw an opportunity. 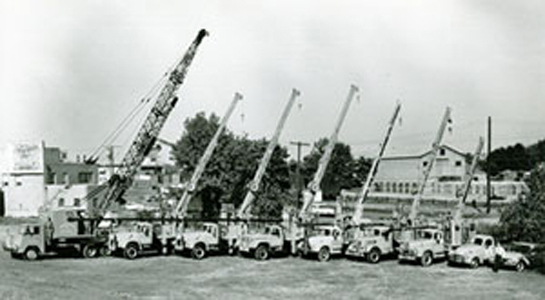 In 1957, Rent-A-Crane started renting cranes to the general public, and by 1958 the company was incorporated to become Rent-A-Crane, Inc. Since then, we have grown into the professional, customer-oriented company that we are today. The Rent-A-Crane, Inc. philosophy is oriented toward minimization of risks. Our success and yours depends on how well each job is performed. We continue to invest in new equipment and operator training to offer a professional experience to our customers. In addition, we follow federal guidelines for pre-employment and random drug and alcohol testing of all employees to ensure a drug and alcohol-free work environment. 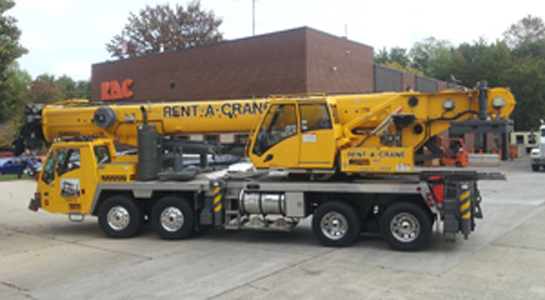 Rent-A-Crane, Inc. operators are highly skilled professionals who receive continued training on their equipment, and in all facets of the crane industry. We test our employees on their knowledge of crane operations and industry standards. Our operators are NCCCO certified, and are also licensed to work in the District of Columbia. We frequently work at local military bases, such as Quantico Marine Corp Base, Bolling Air Force Base, Dahlgreen Naval Surface Warfare Center, Fort A.P. Hill, Fort Belvoir, Fort Myer and Andrews Air Force Base. In addition, we can also offer NCCCO certified riggers and signal people when your job requires one of these skilled workers. Rent-A-Crane, Inc. is committed to providing our customers with the best possible service available. 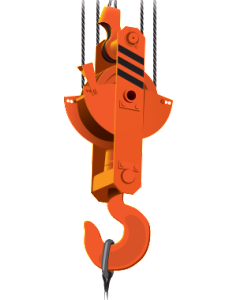 Our management team is comprised of trained professionals who can assist you with your craning needs. Our office personnel are capable of planning lifting requirements over the phone, and estimators are available to perform on-site evaluations of your needs. Lift plans are available upon request.